ANTHONY Bourdain occasionally asks chefs while he travels the world what they would have as their last meal if they were on death row. This got me thinking – what would I request from those sullen-looking guards to bring for my last meal before I had to dance with ol’ sparky? For me it would be the aniseed tea-smoked duck and BBC (Broad bean, Bean curd and Chinese chutney), from Adelaide’s Ying Chow. Ying Chow (aka Yingers), has been a permanent fixture on Adelaide’s Gouger Street food strip for some 20 years. It’s a small rectangular restaurant with the only real decorations being the coloured cards with the specials pasted onto the wall (English on one wall and Chinese on the other), and it is always jammed packed. Waiters almost seem to be on a collision course with each other as they hurry around the room with lightning speed taking orders or delivering food to the eclectic clientele that it attracts (from politicians and judges from the nearby courts complex to winemakers and journalists, late-night ravers and chefs and everyone in between). The common thread is that these people know Yingers is good, so good in fact that the US-publication Food & Wine once proclaimed Ying Chow to be the best Chinese restaurant in the world. What seems to be anarchy in the restaurant is all controlled by the delightful and calm Brian Shair. He’s been there for as long as Ying Chow and looks the same as he did nearly 20 years ago. He is ageless without a grey hair (or a hair missing) – just like me. You will recognise Brian because he is the one always smiling, greeting customers and making sure everyone inside has food and tea and those waiting outside get a table as quickly as possible. I’ve known Brian for more than 15 years and he is one of the reasons why I and others go back to visit Ying Chow. On my last visit I was honoured that Brian spent five minutes with me at my table at midnight chatting and telling me how his family is because time is one thing that Brian does not have – he is the fuel that powers the Ying Chow machine and if he stops, Ying Chow becomes a harried and confusing place. 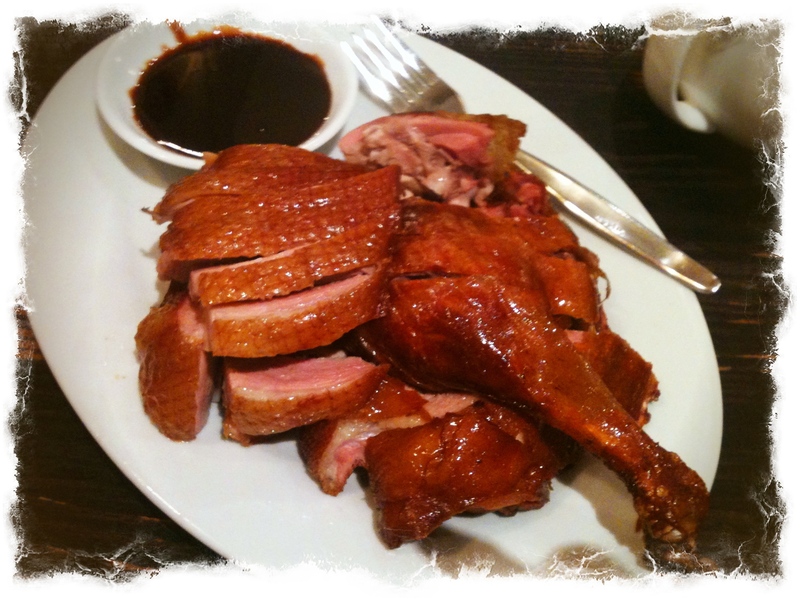 The duck is a Ying Chow signature dish – a whole duck marinated in salt, pepper and five spice for several hours. It is then smoked using a mixture of oolong tea, brown sugar and flour. After that it is then stuffed with star anise, ginger, garlic and spring onions and steamed. Just before serving, the whole duck is deep fried to create its perfect crunchy skin and is then chopped before going on the plate. My half duck has a warm ochre-coloured glow – its crunchy skin glistens from the fat that permeates from underneath. Its flesh is pink and moist with a strong, but not overpowering, tea smokiness with star anise and garlic overtones. On the side, as always, is a small dish of hoi sin dipping sauce which adds an extra depth to the duck and complements its smoky flavour. The BBC is the dish that people in the know will order and has a cult following. There’s even a Ying Chow BBC Appreciation Society on Facebook. Some Adelaide ex-patriots (like me) try to replicate it at home and there are a number of blogs featuring a version of the recipe. Don’t be put off that it’s vegetarian. I once recommended the dish to some Sydney-siders who told me in no uncertain and threatening terms what they thought of bean curd and men that ate tofu. After my insistence they decided to give it a go and are now part of its cult – even taking a package of take-away with them on their return flight to Sydney. The BBC is a mixture of boiled soy beans and sliced and spicy firm tofu which is quickly stir-fried in a mixture of sliced red chilli, garlic, spring onion, pickled cabbage and possibly oyster sauce. It’s healthy, spicy and delicious. Ying Chow is a place where you need to discover its treasures such as the succulent and moreish red vinegar ribs, the pepper venison, the E-shand dishes, and the scallops steamed with ginger and shallot – but best sampled over time and with friends. 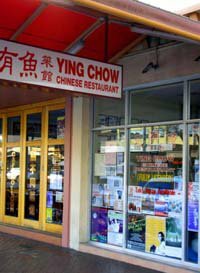 What: Ying Chow, 114 Gouger St, Adelaide, South Australia 5000, Australia. Phone: (08) 8211-7998. Open: Lunch noon to 3pm (Friday) and dinner 5pm to 12.45am (Sunday to Thursday) and 5pm to 1am (Friday to Saturday). BYO and licensed. The verdict: It’s the place that would prepare my last meal. Wallet-friendly prices with a range of distinctive dishes that will interest you and bring you back for more. Ignore the rush (and sometimes abruptness), of the waiters (a necessary evil in their hectic environment), sit back and enjoy the experience because you will have some of the best Chinese food in the world. Ate there: 11 February 2011. 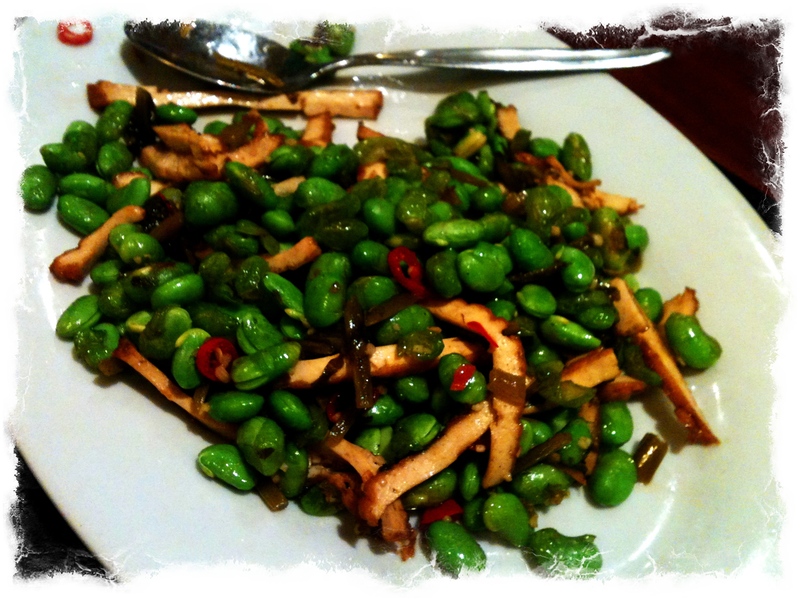 This entry was posted in Adelaide, Chinese, South Australia and tagged Adelaide, Australia, Chinese, Food, Ying Chow. Bookmark the permalink.